Prof. Shem Aywa is a Professor of Pure Mathematics (Functional Analysis). He completed his primary education in 1976 at Emmabwi Primary School, where he passed his Certificate of Primary Education. For his secondary education, he studied at Maseno School from 1977 to 1980. After passing his Kenya Certificate of Secondary Education he continued in Maseno School for his ‘A’ levels up to 1982. He joined Kenyatta University for Bachelor of Education (Double Mathematics) from 1984 to 1987. He continued at Kenyatta University for a Master of Science degree in Pure Mathematics from 1988 to 1990. He was employed as a Tutorial Fellow at Maseno University from 1990 to 1991. He was promoted to Lecturer position in 1991. He was admitted for Ph.D. studies in Mathematics at Potchefstroom University, South Africa from 1997 to 1999. He was promoted to position of Senior Lecturer in 2000. He moved to MasindeMuliro University of Science and Technology in 2003 as Senior Lecturer. He was promoted to position of Associate Professor in 2005. 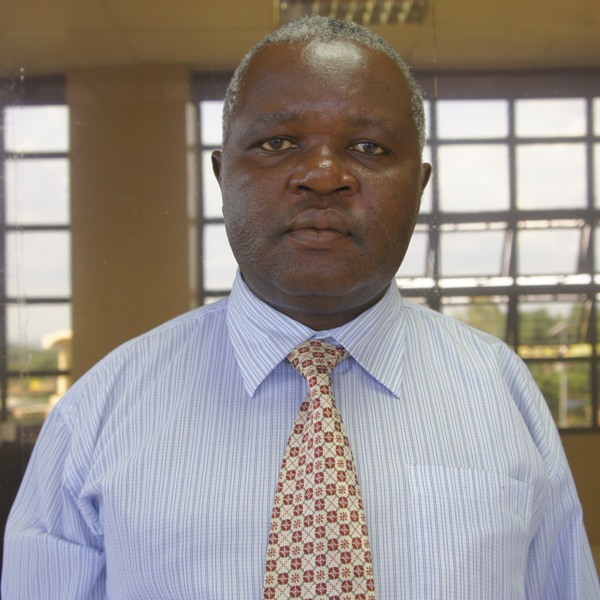 In 2013, he was appointed as Deputy Principal(Planning, Administration and Finance) at Kibabii University College. He was promoted to the position of Professor in 2015. Currently he is involved in a joint research with South African scholars from North West University. The area of research is “Operator Ideals”. Five Doctor of Philosophy students have been incorporated in this research. Two of Ph.D. students are at an advanced stage of their thesis research. He has won funding from National Council for Science and Technology for three Ph.D. students. The research is on-going.